It started with a simple project, then as God's hand became manifest, the story unfolded. 400 Years of Silence is a fictional, creative interpretation, written in duet play form and short story prose, of the 400 year period between the Old Testament prophets and the birth of Jesus Christ. In that time, there was no word from God, until the cry of a baby broke the silence on that glorious night whe… n the Savior of the world was born. View the world through the eyes of Naaman and Manasseh, brothers who couldn't be more different in faith. One clings to the Old Testament scriptures, while the other denies them entirely. Follow their journey as they walk in the steps of the Christ. 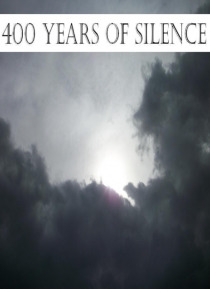 This 3rd Edition of "e;400 Years of Silence"e; features both the short story and duet play, as well as an additional message from the author regarding the writing process.